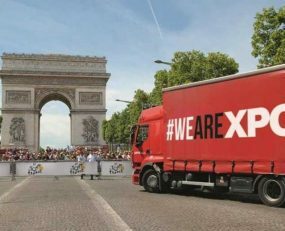 XPO Logistics has announced it expanded its XPO Connect digital freight marketplace and Drive XPO mobile app to add counteroffers to the online experience. Based on real time market conditions, the new functionality generates digital counteroffers to carriers’ bids that are not accepted. When a carrier agrees to a counteroffer, the freight is immediately visible in a truck driver’s assigned loads. XPO develops its technology within a proprietary, cloud-based ecosystem, supported by an annual investment of over $450m. The XPO Connect marketplace uses multimodal, digital architecture to give shippers and carriers direct access to the company’s transportation network and the predictive data that powers it. The Drive XPO mobile app interfaces with XPO Connect and is available for iOS and Android devices from the App Store and Google Play.